The "Naci Atabey" suffered a cargo damage claim, and an arrest order was issued by the local court on Feb 9, 2019. The vessel's departure permission from Catania, where the ship had arrived, coming from Chioggia, on Feb 5, at 7.45 a.m., was cancelled by the harbour master until the ship was released again. The vessel remained stationary on Feb 24. The "Naci Atabey" during its stay in Antalya, got a pollution fine imposed by a local municipality environmental pollution prevention department, due to a breach of local regulation, as per MARPOL rules on Jan 6, 2019. During investigations, the crew was found guilty due to discharge of dirty and oily water and consequently, a fine was imposed. The fine was paid by an agent on behalf of the owners. Upon completion of payment, the vessel was granted departure permission and sailed from Antalya on Jan 8. 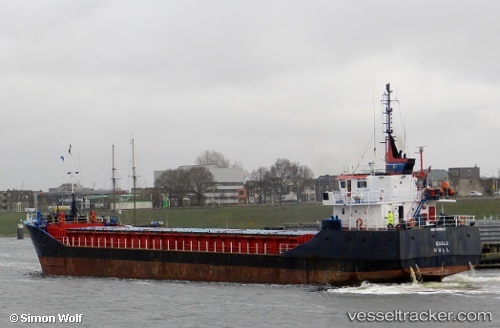 The "Naci Atabey", while departing from the port of Azov en route to Izmir with a cargo of grain, reported that it had experienced main engine problems, which resulted in the vessel losing navigational control, in the vicinity of Azov anchorage point No 462 on Jan 20, 2018. The Vessel Traffic Services at Taganrog and Azov informed all vessels in the area that the ship was drifting out of control. After about 30 minutes, the crew managed to repair the main engine and was able to continue its passage to Izmir.